You want to know more about who we are and where we came from? There is so much to tell about our company. Discover the biggest steps of our history in the following. Induperm A/S was founded in October 1969 in Denmark. 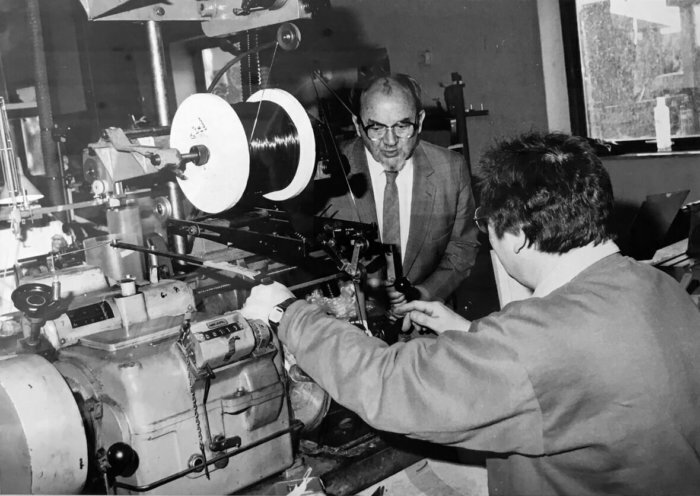 The name Induperm is a combination of two magnetic terms; induction and permeability; demonstrating the business idea behind Induperm, which was the construction and production of coils and transformers. Induperm specialized in customer-designed transformers for airfield lighting, heavy industry, research projects (like CERN) and medical products. For a number of years, the slogan was: The Individual Transformer in Series Production. In 1972 Induperm was selected by Copenhagen International Airport to develop a series of special isolating transformers. This was the start of a business relationship, which later developed to be one of the strongest in Induperm. 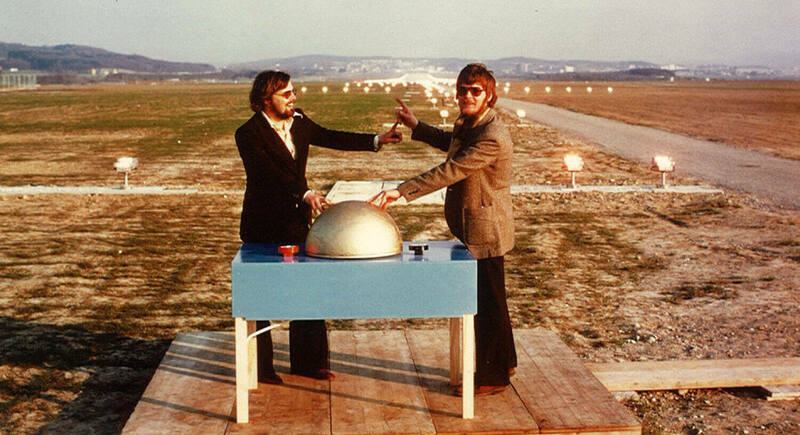 Initially, Induperm was only dealing with airport projects as a sub-supplier, but in 1978 it was decided to establish a separate airport section with the task of developing Induperm products for a complete lighting system. During the following years Constant Current regulators, Elevated and Inset lights and PAPI were added to the product portfolio. Ole Løvig Simonsen, Group leder for Socialdemokraterne in Folketinget, Former Statsminister (head of goverment). Anker Jørgensen, Statsminister 1975 – 1982, Ole Lund-Hermansen. Anker Jørgensen visit to Induperm 1984. 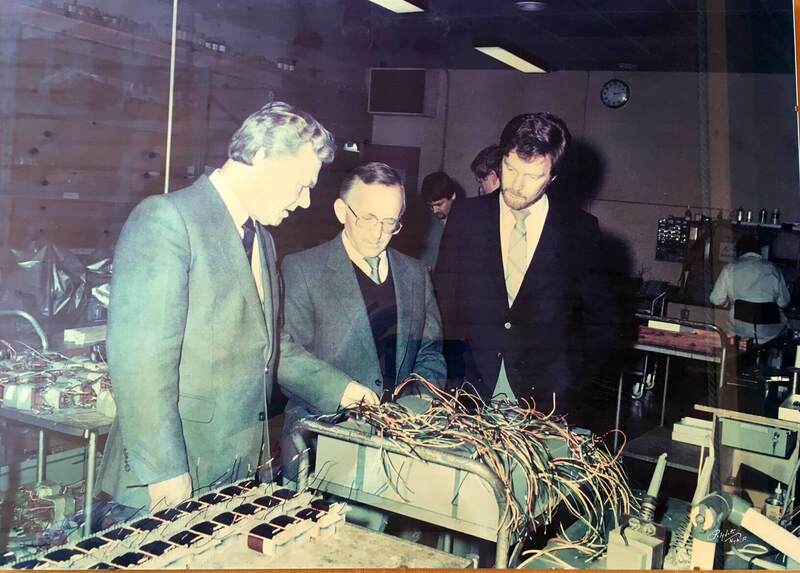 Statsminister Poul Schütter (statsminister 1982 -1993), Founder of Induperm: Boye Nielsen, Ole Lund-Hermansen. Visit to Induperm 1986. 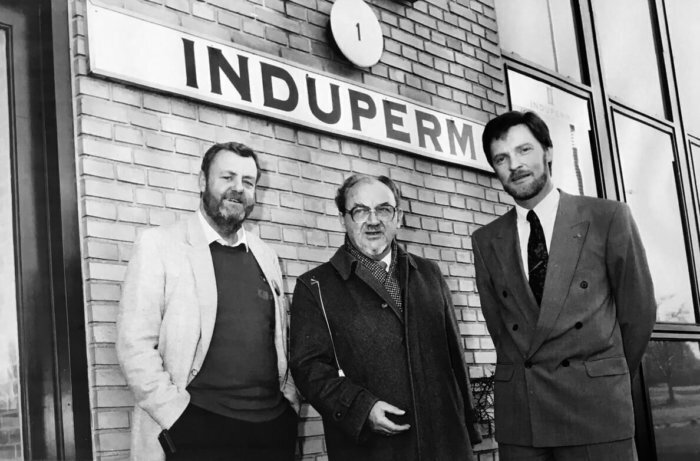 In 1987 Induperm was taken over by Ole Lund-Hermansen after a management buy-out. Ole Lund-Hermansen was the sole owner of Induperm for almost 25 years until the sale to the German automotive lighting specialist HELLA (HELLA KGaA Hueck & Co.) at the end of 2011. 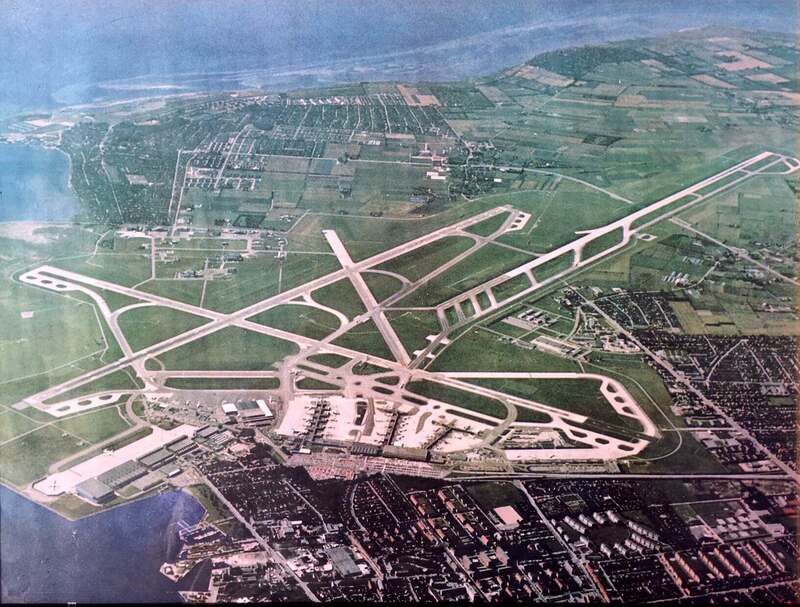 Photo of the complete Copenhagen International Airport taken in 1986. A present from CPH to Ole Lund-Hermansen in connection with his management buy-out in 1987. 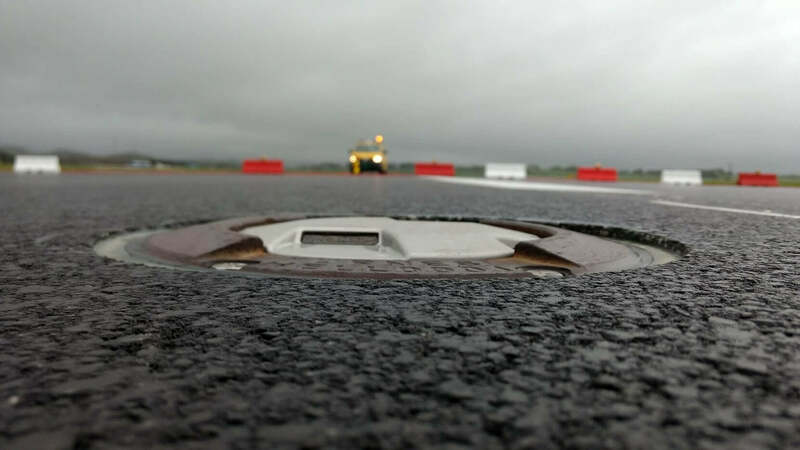 PAPI installation in Jacobshavn Airport (Illulillsat Airport). 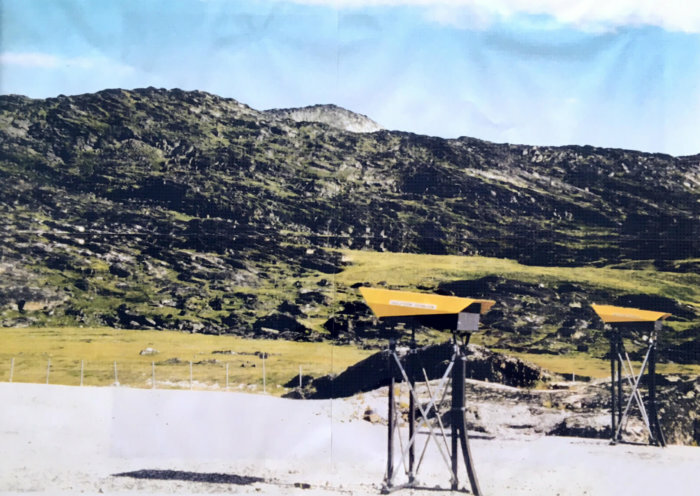 Our first complete airport supply in Greenland in 1986-1988. Due to the rocky ground and required fixed positions for the PAPI units it was necessary to increase the height of the light output on some PAPI units. 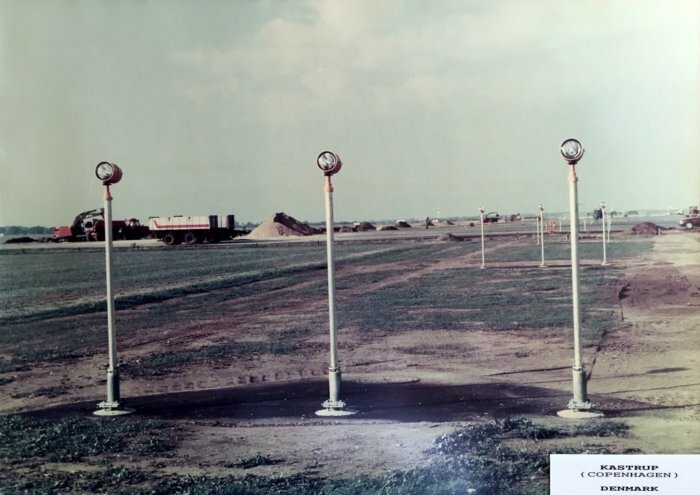 Approach lights on runway 22R in Copenhagen International Airport with both light fixtures (type 792) and poles manufactured and supplied by Induperm in 1987. 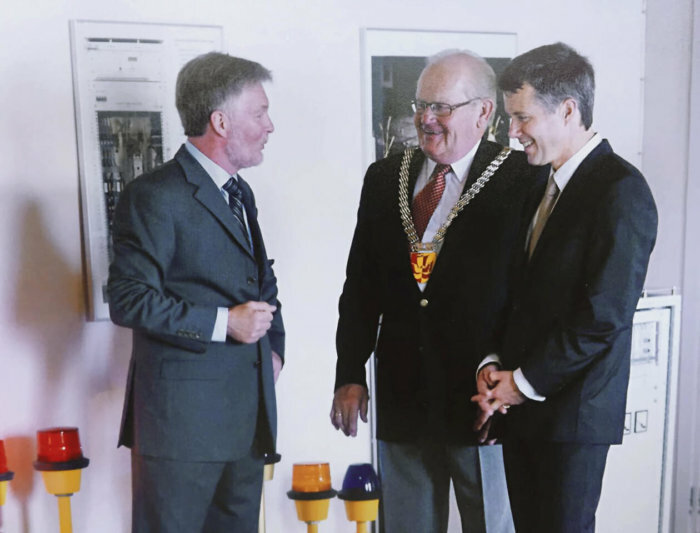 On June 19th, 2008, the Danish Crown Prince Frederik visited Induperm. Hella KGaA, a pioneer in the LED automotive sector, establishes a new business division “Industries”, responsible for a complete new development in several areas utilizing the Hella expertise in electronic and lighting areas. Hella Airfield Lighting is born. In 2011 Hella took over Induperm A/S in order to complete the portfolio for AGL, combining the Hella lighting portfolio with the Induperm CCRs, PAPIs and other special elevated lights. 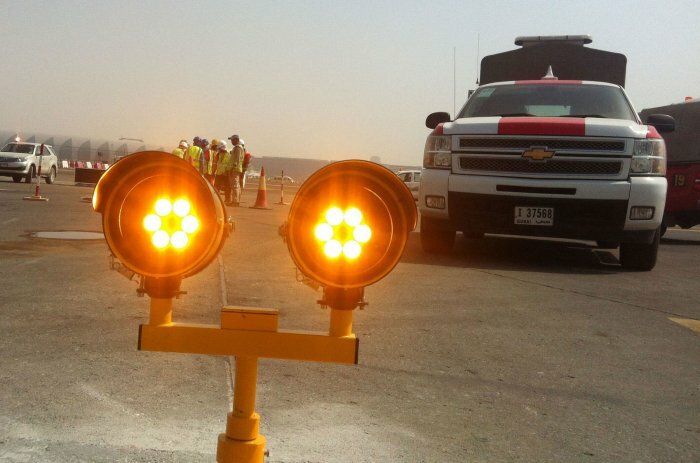 HELLA has developed an innovative LED Airfield Ground Lighting portfolio in close collaboration with various international airports ranging from civil and military airports to helicopter landing pads according to international standards (ICAO, FAA, STANAG) to become the market leader in LED runway lighting. First LED installations with our partner company on the US market. First CEDD installation – location Eelde, Netherlands. First LED SFL installation – location: Stavanger, Norway. At the end of July 2016, the Dutch TKH Group acquired the HELLA Airport Lighting activities by taking over the operating site in Nykøbing Falster (Denmark) and the main assets for AGL products from HELLA in Lippstadt (Germany), including all intellectual property rights. The acquired AGL activities are now operated under Induperm AS, and are be part of TKH’s sub segment connectivity systems within the business segment Building Solutions. The acquisition strengthens the strategic activities of TKH in its vertical growth market Tunnel & Infra. TKH and HELLA had already been successfully cooperating in the development and design of the CEDD (Contactless Energy & Data Distribution) technology of TKH, whereby the lighting fixtures of HELLA were part of the solution. 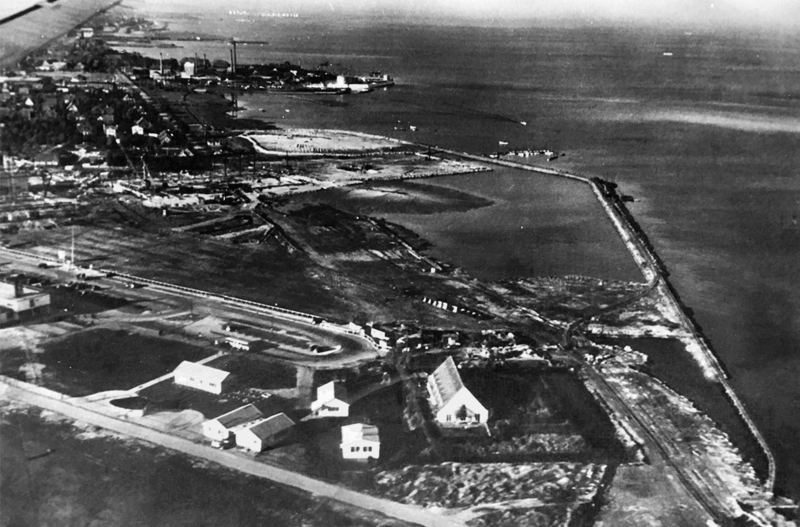 If you are interested in our history, you might also discover Ole´s stories. 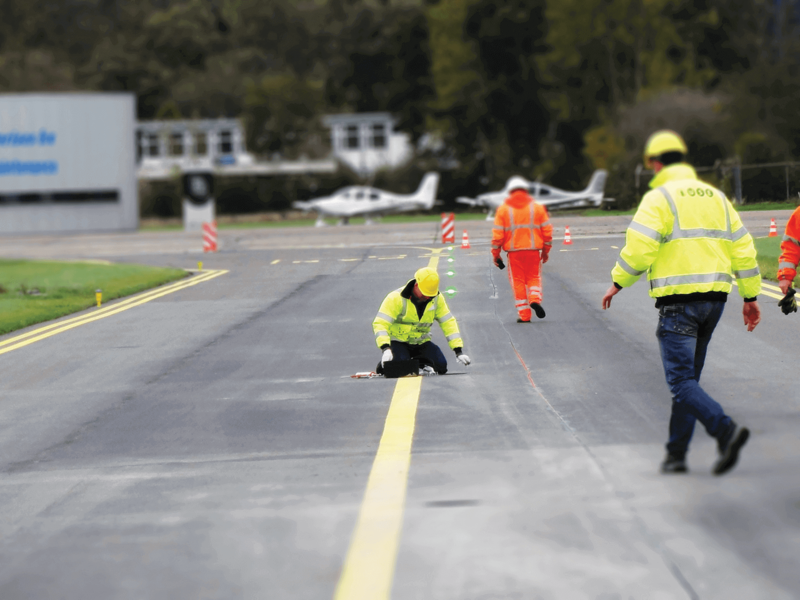 He has been involved in the supply of airfield lighting equipment to airports all over the world and has a lot to tell. Have a look on his experiences!